When looking at the remainder of the top ranking countries, it appears nordic destinations have something of a lock on happiness. Rounding out the top 10 were Denmark, Norway, Iceland, Netherlands, Switzerland, Sweden, New Zealand, Canada and Austria. The landmark survey of the state of global happiness ranks 156 countries by how happy their citizens perceive themselves to be. First released in April 2012 in support of a UN high-level meeting on “Wellbeing and Happiness: Defining a New Economic Paradigm,” this is the seventh time the report has been issued. 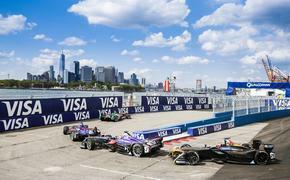 The United States did not make it into the top rankings. It came in 19th place, dropping one spot since last year and a total of five spots since 2017. In fact, according to the study, happiness in this country has been on the decline for years now. With the exception of earning a 10th place ranking for income, the US didn't make it into the top 10 on any of the report's happiness measures. The country scored 12th place for generosity, 37th place for social support, 61st place for freedom and 42nd place for corruption. Meanwhile those interested in visiting some of the happiest countries on Earth, now have a formal list to guide their travels. Saglie added that it is no surprise such countries as Austria and Finland are among the top 10. “Aside from free health care and education, these countries have some of the most awe-inspiring landscapes and landmarks,” Saglie continued. Want some further insights about which of the happiest countries to visit? Here’s what Saglie had to say about the top-ranked destinations. 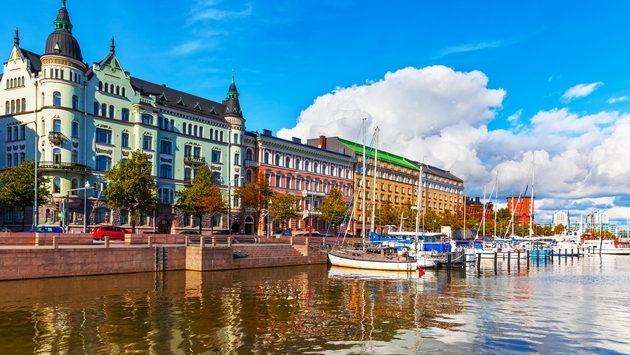 Finland has more forest per square mile than any other European country, according to Saglie. “They have the highest environmental standards and one of the lowest threat levels, leading to both natives and immigrants alike reporting the highest happiness rankings,” Saglie added. What’s more, year-round, Finns spend lots of time outdoors, including hiking in summer and skiing in winter. Another Nordic destination, Norway places a high priority on social equity and welfare. “It offers absolutely beautiful landscapes and boasts some of the world’s highest prosperity indexes,” said Saglie. As an added travel tip, Saglie noted that Norway has a lot to offer with its cities, fjords, wildlife, and outdoor activities. “It is a safe and happy place to travel in with plenty to explore,” he said. A country with one of the smallest wealth gaps in the world, Denmark’s tax, health, education and welfare system lead to some of the highest living standards in the world. 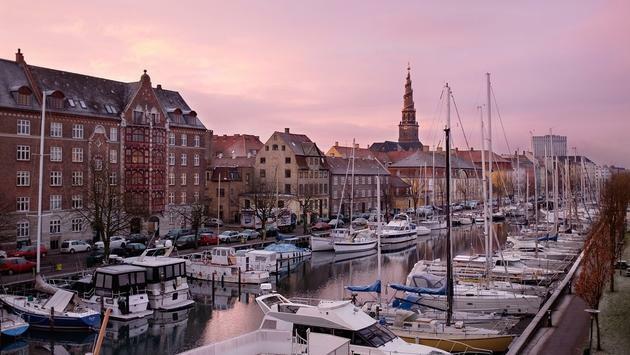 “Many Danes bike to work—a daily choice that is better for their bodies and the environment,” said Saglie, noting that the country is also home to Noma, the number one ranked restaurant in the world for several years running now. Iceland boasts vast and diverse landscapes that captivate everyone who visits and the number of arrivals have quadrupled in recent years, said Saglie. “In Iceland, new mothers have nine months paid leave and fathers can take three months,” said Saglie. Home to the Blue Lagoon, Northern Lights, and geysers—Iceland has some of the best Instagram spots in the world. The Netherlands is known for its leisurely pace of life, with locals preferring biking through tulip fields to cabs and subways. 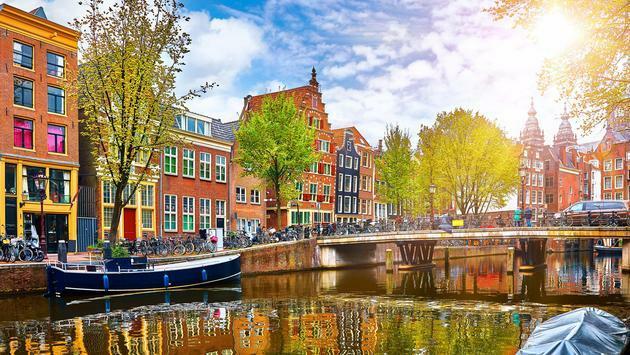 “Legal cannabis and coffee shop culture in the capital, Amsterdam, is a huge tourism draw and adds to the laissez-faire happiness appeal,” said Saglie. Travel tip: One-third of the country is below sea level, so the Dutch have raised whole territories out of the sea, including an entire province called Flevoland. They constructed gigantic sea-walls, such as Zeeland’s delta works- both of which are recognized among the Seven Wonders of the Modern World, said Saglie. Switzerland is the birthplace of some of our most crucial international agencies such as the Red Cross and the UN, said Saglie. You will also find beautiful and picturesque Alpine mountains. “Healthy diets and physical fitness are emphasized in Switzerland, which boasts the lowest female BMIs in Europe,” he said. Boasting beautiful Scandinavian architecture in hip cities like Stockholm, Sweden is the seventh richest country in the world and the Swedes enjoy a very high standard of living. “Swedes have an average of five weeks’ vacation each year,” said Saglie. New Zealand is one of the most remote countries on the planet, home to wild and free terrain and mountain ranges perfect for exploration. 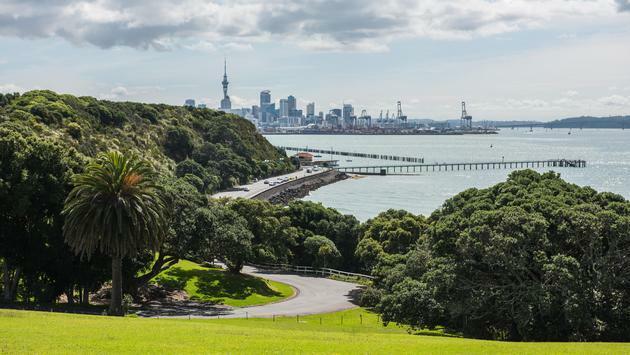 “New Zealanders attribute their happiness to a laid-back lifestyle in their secluded paradise,” said Saglie. With its vastness, Canada offers just about every landscape and way-of-life imaginable, from snow-capped mountains to sprawling city life—not to mention all four seasons, said Saglie. A high priority on education and social welfare has made for high life expectancy and happiness. Social resources including free healthcare and resources for immigrants to keep Canadians smiling. 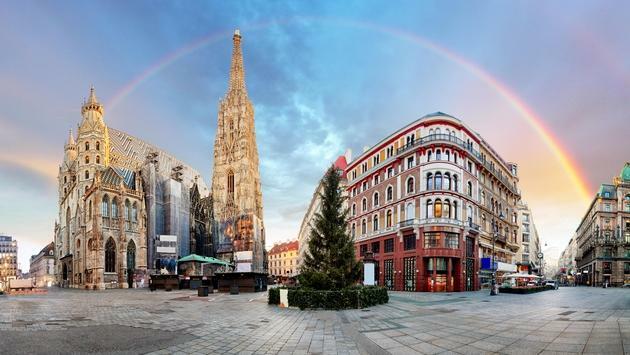 Austria’s capital, Vienna, has repeatedly been rated the best city for quality of life,” said Saglie. “Dramatic alpine landscapes and cities nestled at the bottom of mountain ranges make it a beautiful travel destination,” he added. Work-life balance keeps Austrians happy, most full-time employees work no more than six hours a day. Travel Tip: Home to the oldest zoo in the world is located in Vienna.